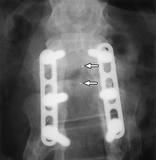 Cervical spine surgery may be indicated for a variety of cervical spine problems. Generally, surgery may be performed for degenerative disorders, trauma or instability. These conditions may produce pressure on the spinal cord or on the nerves coming from the spine. The goal of cervical spine surgery is to relieve pain, numbness, tingling and weakness, restore nerve function and stop or prevent abnormal motion in the spine. 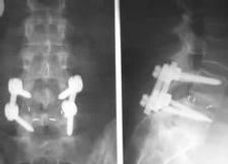 The surgeon does this by removing a disc or a bone and fusing the vertebrae together with a bone graft either in front of or behind the spine. 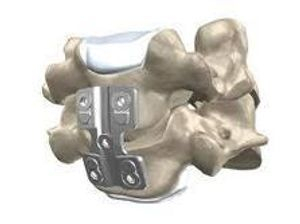 The bone graft may be one of two types: an autograft (bone taken from your body) or an allograft (bone from a bone bank) & added by metal plates, screws or wires are also used to further stabilize the spine. These techniques are called instrumentation. 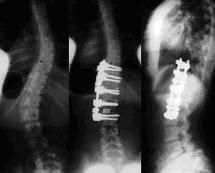 When the vertebrae have been surgically stabilized, abnormal motion is stopped and function is restored to the spinal nerves. The most common problems in the thoracic spinal are thoracic disease or injury often caused by a herniated disc, degenerative disc disease, scoliosis, compressed fractures, kyphosis, and spondylolisthesis & bone tumors. Various treatment options are available, in both invasive and noninvasive procedures, depending on severity and need. The primary goals of treatment for thoracic spine fractures include protecting the neural elements and preventing deformity and instability. Surgery often facilitates achieving these goals and often hastens the patient's rehabilitation. Hospital stays are often shorter with surgery. Surgery is particularly often beneficial in patients with multiple traumatic injuries. The ultimate decision to operate is based on many factors, including fracture morphology, and the choice is often complex. Surgical management should be strongly considered when neurologic deficit or significant deformity or instability is present. 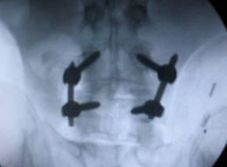 Lumbar spinal instrumentation has been widely used for Pedicle screw fixation (PSF), with generally favorable clinical outcomes.